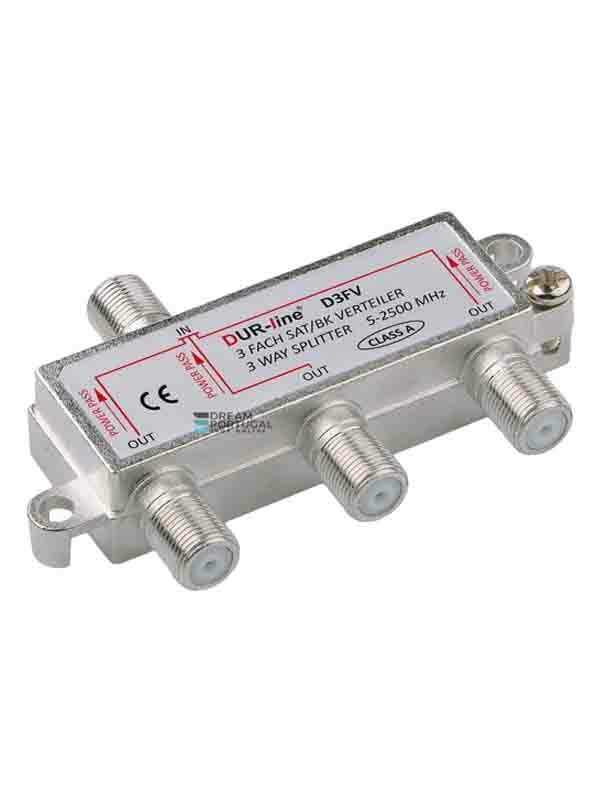 Dur-line BK-SAT D3FV - Buy at the best price! Dur-line BK-SAT D3FV - 3 Way satellite, cable or terrestrial splitter unicable compatible. Dur-line BK-SAT D2FV - 2 Way satellite, cable or terrestrial splitter unicable compatible.